A millipede that was bigger than you. 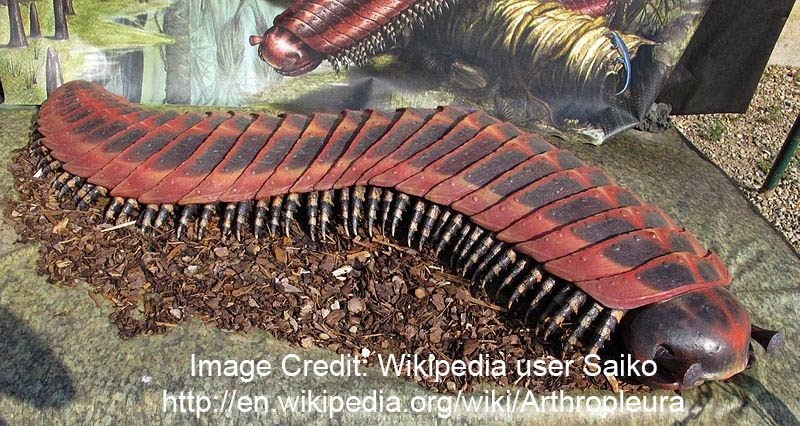 Arthropleura is a genus of millipedes which went extinct a very long time ago. The larger species in this genus could reach sizes of over 2 meters long. 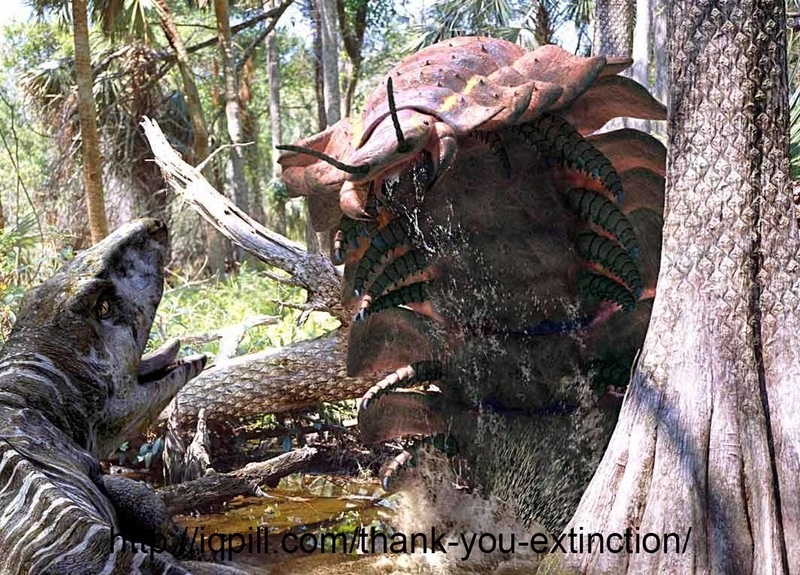 This makes it the largest terrestrial arthropod of all time. Millipedes couldn't grow that large in today's atmosphere because there is a lower concentration of Oxygen. Millipedes, like most other arthropods don't breath but rely on the diffusion of oxygen in and out of their body through a complex network of tubes exposed to the atmosphere. This process is more efficient when the atmospheric concentration of Oxygen is high. Fossils of this genus are restricted to the Carboniferous Period (360-300 million years ago). They are found in the North East of the North American continent and in Scotland.